Amy Fox is Assistant General Counsel for RAF Industries, a private investment firm focused on long-range investments and acquisitions of companies. She has been an RAF team member since 1994. Formerly a corporate lawyer with the Philadelphia law firm of Dilworth, Paxson, Kalish & Kauffman, Amy provides legal counsel to the RAF companies. 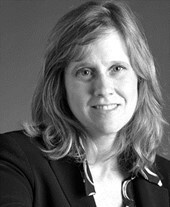 She serves as a Trustee of the Philadelphia Museum of Art and as a member of their Women’s Committee. Amy earned a B.A., with distinction, in Psychology from Stanford University and a J.D. from the New York University School of Law. Amy joined the Philadelphia Ronald McDonald House Board of Directors in 2018.